You are here: Home / General / Kentweld join the partnership!! We are pleased to announce, Kentweld has joined our ranks in offering a super deal to all our members. FREE LED Bar Light or DIY Polishing Kit with every prime mover bulbar ordered ! Kent-Weld are an Australian owned and operated company, established in 1975 as a general welding workshop. After many requests from truck drivers to build them a strong reliable bullbar that can handle the Australian road conditions and animals, they became a well known in bullbar manufacturering. Dedicated to providing premium quality, alloy bullbars designed by master welders so that neither quality and appearance are compromised. Kent-Weld Bullbars are nationally recognised as some of the finest trucking equipment on the market today. Whether you are after a standard or a customised design, they can fit your truck with exactly what you need to see the distance and meet your needs. 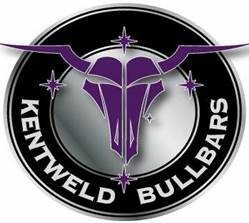 Kent-Weld have a variety of pre-built bull-bars for all makes and model of trucks on the market today. They will not be beaten on quality and they manufacturer the bars and sell from our Victorian premises. Designs can be viewed on their website in addition to a full range of accessories and services. If you have an older vehicle, our team can reproduce your old Bull-bar or create a new design to suit your needs. Give them a call and a team member will work with you throughout the process, from planning a design to fitting of the Bull-bar. one of their objectives is to supply their customers with superb quality products with a 2-3 week lead time. 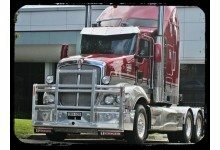 If you want a great looking truck ………….. See Kent-Weld today!! The Fixer Windscreens = Savings For you!! Robyn’s Got your Bookkeeping covered! !